Pricing can be considered one of the most important factors in Selling your house in the Time you want or need to. Overpricing may deter potential buyers and interest, and Underpricing does not benefit you as the Seller as the full value of your property sale is not recognized. A REALTOR®, will help you determine the selling price that accurately reflects the current market value to assist you in eliminating Pricing as a potential pitfall to your experience. A REALTOR® worthy of your partnership presents all the facts and trends and assists you in setting the right price. Pricing is OUR job, Marketing is mine. Marketing and awareness is what attracts buyers to your property. When partnering with a REALTOR®, your property will benefit from instant and maximum exposure through the MLS and all of the agents in the network, along with the extensive list of their former buyers and sellers, as well as newly qualified buyers in the market. Marketing is much more than listing your property in the MLS, putting a sign in the yard, printing flyers, and hosting an Open House. When listing and partnering with Robert; as a REALTOR® committed towards helping you Achieve your desired results, he will passionately drive efforts towards marketing your property in a timely and strategic way, and in partnership and agreement with you; the Seller. The range of resources may include the traditional efforts mentioned above, as well as other potential avenues such as Social Media, targeted direct mail, traditional newspaper advertising, exposure on numerous shared industry websites, web exposure exclusive to EWM clients, specialty print advertising available only to EWM clients, and targeted internal blogging that reaches over 750 agents in 10 local offices in Dade and Broward counties committed to our local market. With Robert as your REALTOR® you can be assured that he will work with his team to ensure the appropriate Marketing Strategy and efforts to help you Achieve your desired results, without the risk of over exposure that could cause potential buyers and agents to become less interested in considering your property. Safety, Security, and Privacy are concerns for most Sellers when putting their property up for sale. Working with a REALTOR® helps ease the anxiety of having strangers walk up to your door unannounced, the possible discomfort of having strangers in your home with you and your family, and phone calls that may come directly to you throughout the day while working or while you are with your family and friends from people passing through the neighborhood, agents directly, and even that nosey neighbor from 3 blocks away that just saw a sign in the yard while going for a walk. Process and Paperwork can be a burden to many while attempting to sell their own property. There may be well in excess of 100 steps along the way. Between contract reviews, having all the right disclosure paperwork, working with buyers directly, working with the just "lookers", setting up and having to stay home for showings, scheduling inspectors and appraisers, monitoring market trends that may be impacting the sale of your home, playing phone tag on your own, as well as all that is involved directly with listing, marketing, safety, negotiations, renegotiations, and closing and settling to name a few. Availability and Communication is streamlined and easier on you as the Seller when partnering with Robert as your REALTOR®. Minimizing the amount of contact points through the process allows you to focus your energy on your day to day life matters, as well as planning out your upcoming move. Having a partner that will set up communication rhythms that match your schedule, and alleviate the stresses of all the moving parts is an often overlooked benefit of working with a REALTOR®. Timing is of the essence in Real Estate transactions and having someone that is dependable, available, and responsive to you; as well as other agents with interested buyers, is critical in not missing any opportunities that may impact selling your property for the highest price possible within the time that you desire. Partnering with a licensed and practicing REALTOR® will assist in making your Real Estate transaction as Hassle Free and Easy as possible. When considering working with a Real Estate Professional, practicing is an important term. While all Real Estate agents must maintain a license, not all agents make Real Estate their Full Time career. 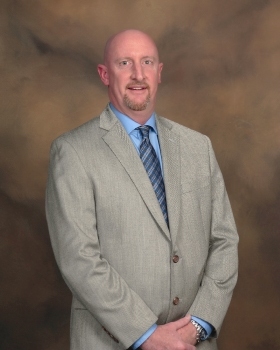 As a Full Time, licensed and practicing REALTOR®, Robert is committed to assisting and guiding you through all of steps in the process and keeping YOUR best interest FIRST in everything he does. Robert maintains a passion for assisting people and serving them in Achieving their desired Real Estate Results. As many have discovered, the Real Estate industry and process is complex, the market is ever changing, can be difficult and stressful to navigate, requires patience, and most of all requires Dedicated Time that most part time agents, and those people that choose to "go it" alone, cannot afford to invest as they balance other aspects of their family, work, and community involvement. 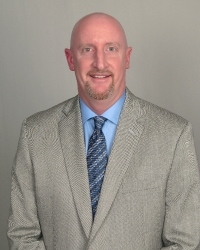 As a Full Time REALTOR®, Robert takes pride and maintains the discipline and energy towards staying abreast of Real Estate industry updates, local market trends, educational and networking opportunities to stay informed, trainings and continuing education courses, and industry articles and publications. Whether buying or selling Real Estate, this decision ranks among the most important decisions and transactions most people will make. For many, Real Estate purchasing or selling is the largest investment made at least once during their lifetime. Why leave it to chance or "go it" alone? Call, Email, or Submit your Contact Info for Robert Today!